Yahoo Inc., one of the last remaining giants of the 90s tech boom, started fading in the beginning of 2004, due to the declining sales, eroding profit margins, and diminishing asset turns (Exhibit 1). That led analysts to expect that the Company is facing its last days, as it doesn’t possess a competitive advantage, nor it developed any innovative product or service, and missed an opportunity to become one of the biggest tech firms by failing to recognize a global transition from desktop to mobile space. Exhibit 1. Decline of Yahoo’s sales growth, profit margins, and asset turns. losing the war for mobile space to Google, Apple, Facebook, and Twitter. As a result of Mayer’s actions, according to the high-level math, the Company produced an IRR of 40.5% since 2012, 24.3% of which is attributable to the effect of leverage, and 16.0% - to the capital gains (Exhibit 2). That implies that the Company’s actual operations produced an IRR of 0.2%. Exhibit 2. How much of the internal rate of return is attributable to different return sources of Yahoo Inc.
Due to the significant capital misallocation, Yahoo’s CFROI fall below the cost of capital (Exhibit 3) indicating a value destruction, which led a major investor Starboard Value to force Mayer to hold onto the Alibaba stake and to instead look to sell the Сompany’s core business that de facto makes Yahoo a holding company for its Asian investments. Exhibit 3. Capital misallocation leading to value destruction. Currently the Company is seeking for a $10bn. price tag, however the presumed range of the latest round of bids is within the range of $3-8bn. According to these bids, potential acquirers do not value Yahoo’s core at zero or negative, and there is a strong motivation for that. 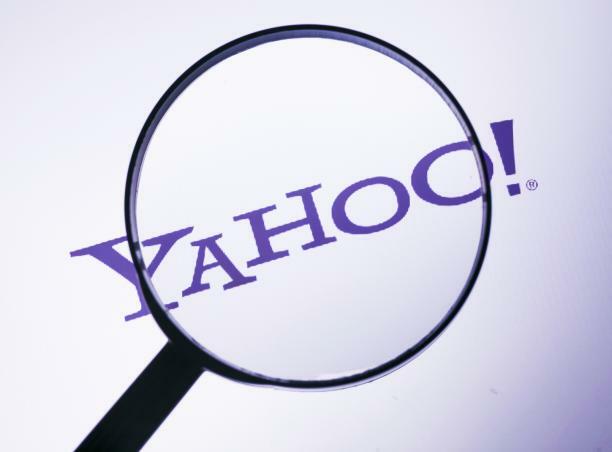 According to the latest market valuation, the sum of Yahoo’s parts (stakes in Alibaba Group Holding Ltd., and Yahoo! JAPAN Corporation, net cash, and core business) is $37.5 per share (Exhibit 4), implying $(10.7) per share for Yahoo’s core business (Exhibit 5). However, valuing the core business by comparables (Exhibit 6), taking the market expected growth of EBITDA, and implying that the EV/EBITDA will come to the industry levels (from 90.2x to 16.1x), we arrive at the value of $6.7 per share of core business (around $6.4 billion of EV), that means that the potential acquirers propose a reasonable price. Exhibit 4. The value of Yahoo’s sum of parts. Exhibit 5. Yahoo Inc. current share price. Exhibit 6. Market-based value of Yahoo Inc. core business. Exhibit 7. Yahoo Inc. implied share price. So why after all investors would be willing to pay for Yahoo’s core business and what do they expect to gain from the transaction? The most likely answer to the question is the opportunity to execute an efficient turnaround pan and potential synergies. No matter who acquirers Yahoo – strategic or financial investor, according to SpringOwl Asset Management, there is a possibility to realize around $61.5 (Exhibit 8, 9) of share value additionally (in contrast to $4 per share as suggested by Starboard’s plan) in the case of successful turnaround. Exhibit 8. Key drivers to unlocking value in Yahoo’s share price. Exhibit 9. Plan unlocking a meaningful upside for shareholders. Therefore, no matter who acquires Yahoo’s core business, it is very likely that we will see dramatic changes in the Company that will be led by the acquirer aiming to unlock the potential value. I truly price this post. I have been looking out everywhere for this! Give thanks heavens I discovered it on this web log. I really respect your work and that i request in future i will be able to come once a lot of knowledge. Like this one. You have stuffed my heart with joy! Abundant appreciated once more!